Croatia is now apparently, the location of choice for a large portion of holidaymakers and within 15 minutes of landing, I started to see why. This trip was probably the most spontaneous I have ever had. I had booked my flights just one week before, set to depart from Birmingham International Airport for just £70 with no luggage, just the clothes on my back and a rucksack tightly packed with extra T-shirts and 8 days’ worth of boxer shorts. I was heading to a music festival. The 12th of July rolled around quite quickly. I had already packed my bag the night before and arranged all my travel documents into plastic sleeves and in order. (The only time I’m this organised is when I’m going away). Birmingham Airport is only twenty minutes away from where I live so my friends and passed security and decided to enjoy the time before our flight department. We found ourselves in a restaurant eating lunch and sinking our first beers of the trip a good 3 hours before the gate opened. The flight only took two hours and forty-five minutes. Coming into land over the Split coastline was breathtaking. Huge fjord-like mountains and lake-bottomed valleys stretched all the way down the coast until we could not see any further. Soon came the landing, followed by the obligatory clap all airplane passengers seem to be doing nowadays. Nonetheless, the flight was pleasant and Monarch Airlines provided quality customer service. However, Split was calling and the rush to get through the security checks began. We had prearranged a transfer taxi, which cost 300 Kuna (£35) for 8 people, to take us into the center of Split and to our Airbnb apartment. 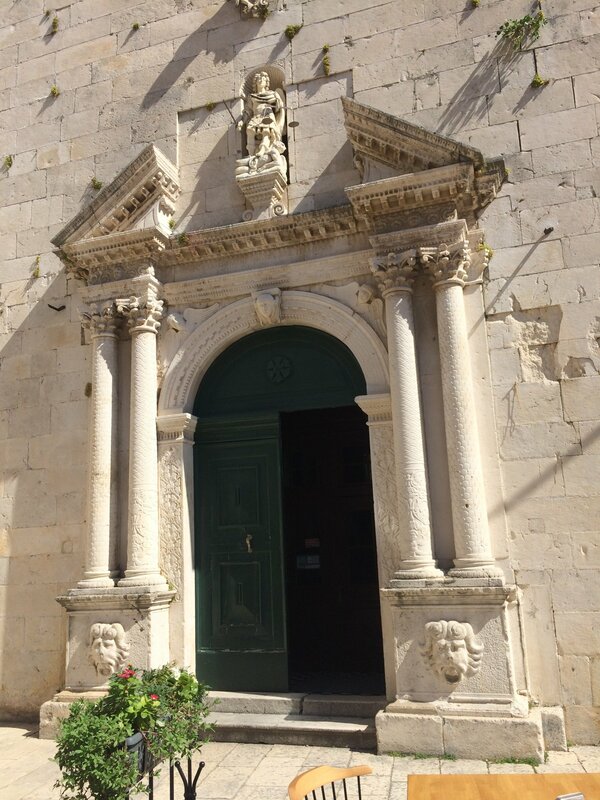 We met our host who took us to our apartment which was in a prime location right next to Diocletian’s Palace, a UNESCO World Heritage Site. Fun fact, the palace is the world’s most complete remains of a Roman palace and is of huge importance to local and world heritage. We settled in, unpacked our bags, freshened up and headed out to the harbor to grab a bite to eat and take in the surroundings. It was 9 pm and it was still 28 degrees Celsius. Heat and I aren’t particularly the best of friends (I sweat, A LOT!) so I kept the color choice of my T-shirt dark. If you ever go to Croatia and are relatively close to Krka I would 100% recommend it. 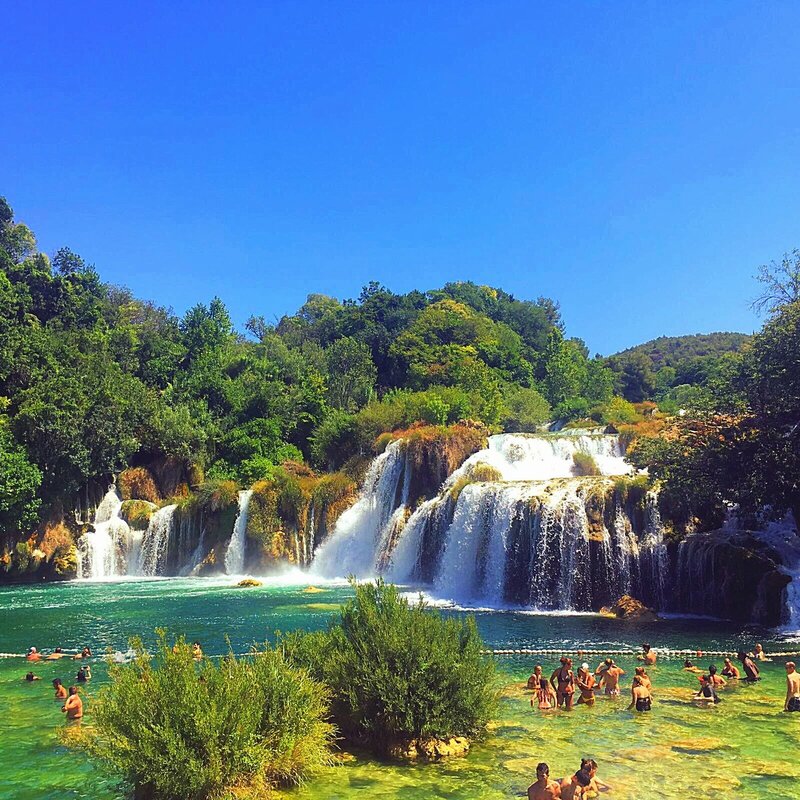 Croatia is not just beautiful beaches and sets from the Game of Thrones; it’s a beautiful country which offers great adventures even when you head inland. That night was our last night in the apartment before we packed up and headed further down the coast. As the night unfolded we made our way down to the waterfront which was the prime location for all the best bars in Split. Out of nowhere, we noticed a huge inflatable obstacle course no more than a hundred yards out in the sea, you can all guess what happened next. All eight of us, soaking wet, began racing to get to the highest point of the course to be crowned champ. It was great fun and will always be one of those memories that I will look back on and laugh. The club we chose to go to that night was Tropic Club, which we went to the first night as well. The club was the favorite watering hole for most of the tourists in Split and, with a long balcony looking out over the sea, good music and a wide variety of drinks/cocktails, it was easy to see why. 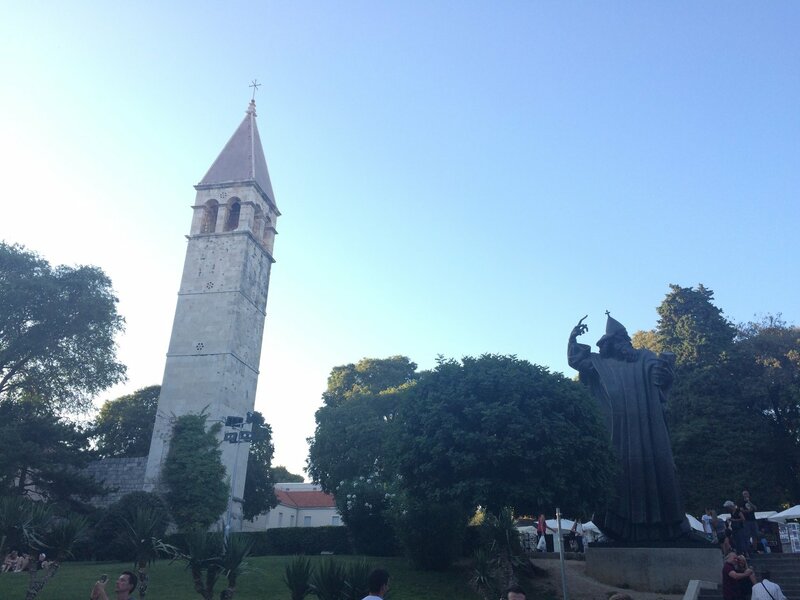 It was hard not to meet other travelers and holidaymakers who had also come to Split for the festival which started the next day. We even bumped into a guy we went to school with 4 years ago. Small world. Before I knew it, the sun was rising and the night ending. Walking back to our apartment was so peaceful, not 9 hours ago the town was crawling with locals and tourists going about their business; now it was a ghost town and we were its only residents. Check out time was 10 am, and we had a taxi booked to take us to our festival campsite in Omis which was a forty-minute drive down the coast. For the sake of not repeating myself, suffice to say that the festival was amazing. Occasionally my inner tourist came through and my need to adventure surpassed the desire to enjoy the festival. 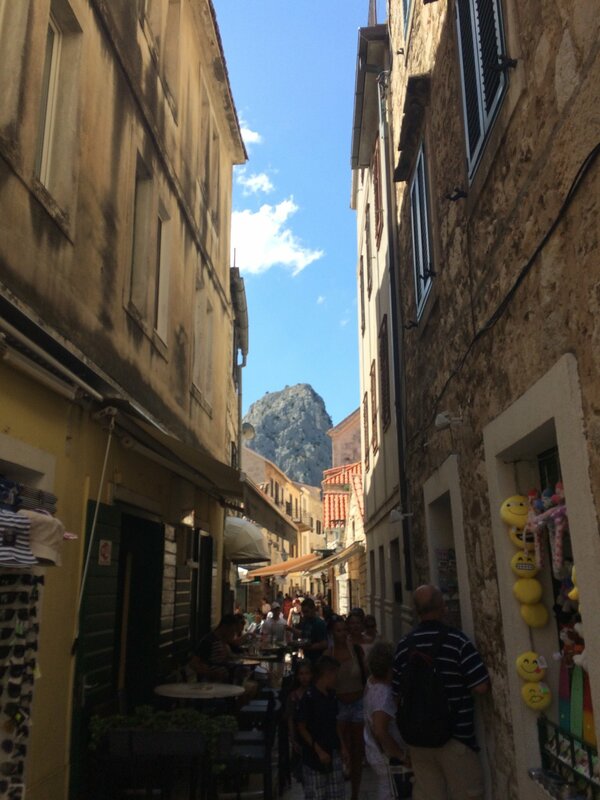 Omis, the closest town, is an agricultural town with old Roman buildings and tight alleyways filled with souvenir shops, bars and restaurants. Standing guard over Omis is the Mirabella fortress. 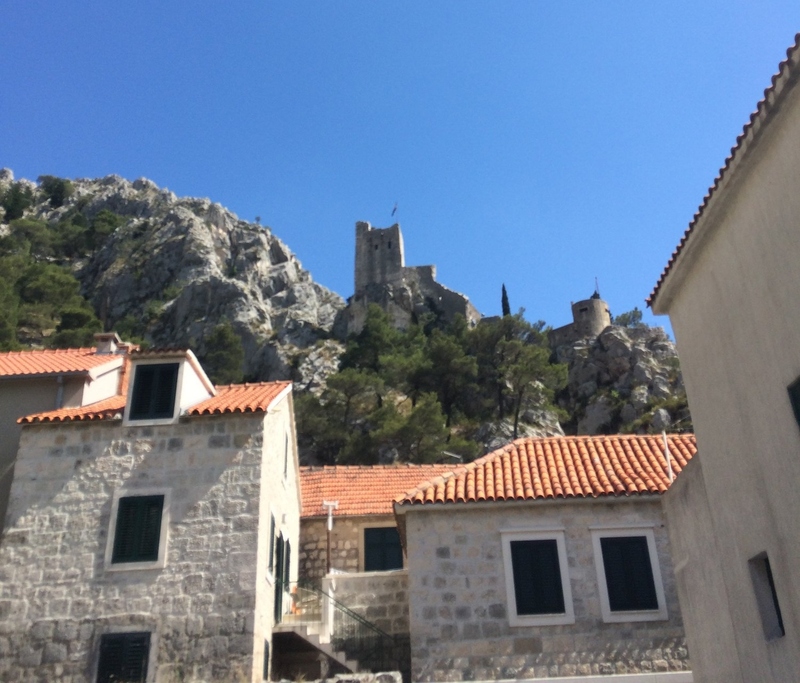 Built in the 13th century the fortress was used by the Omis pirates. Local folklore says that during the 1530s, while being attacked by Ottomans, the local militia shouted so loudly that the attackers fled because they overestimated the size of the defending forces. It cost 20 Kuna (£3) to climb the very steep steps up to the fortress; however, the view from the top is worth the pain and is a must if you are in the area. 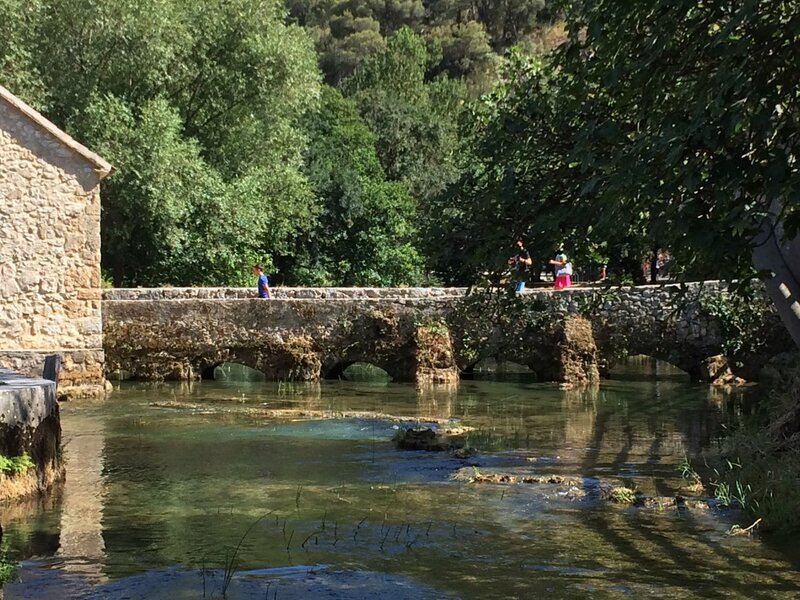 Compared to Split, the prices for everyday things such as meals, drinks and groceries are much cheaper in Omis and is a more peaceful place to stay especially if you are camping. Having to fly home and face getting back to work is not worth talking about in this post as it is the saddest part of the holiday. Overall I can say that my time in Croatia was spent with good company and gave me fond memories that I can look back on. 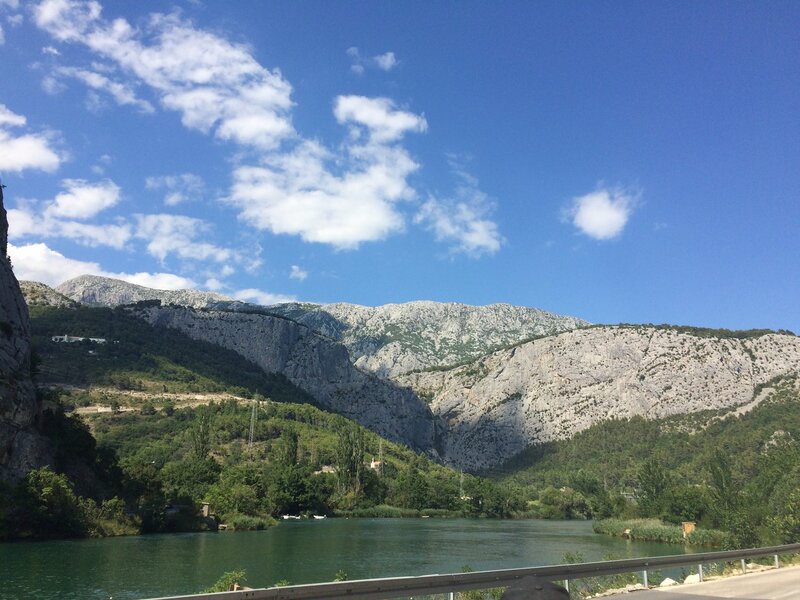 On a more informative point Croatia and its people are very welcoming, the country is very hot and its scenery beautiful. It’s hard to see why Croatia was never in the spotlight until recently. Check it out, I hope you have as good a time as I did.